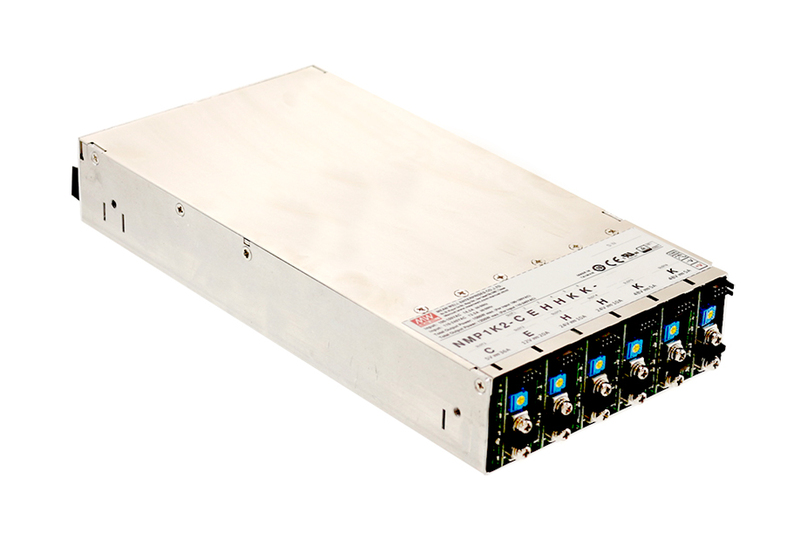 MEAN WELL has introduced a small volume medical grade modular power supply family with various intelligent control functions, the NMP650/1K2 series. Independent output module slots and an ultra wide output voltage range enable users to set and modify output voltage, current and wattage according to their demands. The NMP series is equipped with intelligent control functions, such as voltage and current control, remote power on and off, over temperature warning and DC OK signal, providing remote control and monitoring applications. For the performance of temperature control, fan speed is automatically adjusted through its internal temperature detection function. 1U miniaturized design significantly enlarges the power density. The NMP series meets medical safety regulation (60601-1), and the circuitry design also refers to IT industry regulations, 62368-1. Multiple functions and high quality can fully satisfy the demands of all industries. With a five-year warranty and quality verification, the NMP family is an intelligent multi-module power supply with high performance and reliability. Click here to visit the Sager MEAN WELL product catalog page for additional specification information or to find out how to configure a part. Visit the MEAN WELL page on power.sager.com for more information on their offering or contact a Sager Power Systems representative, the authorized Distributor for MEAN WELL, at (866) 588-1750 or power@sager.com.